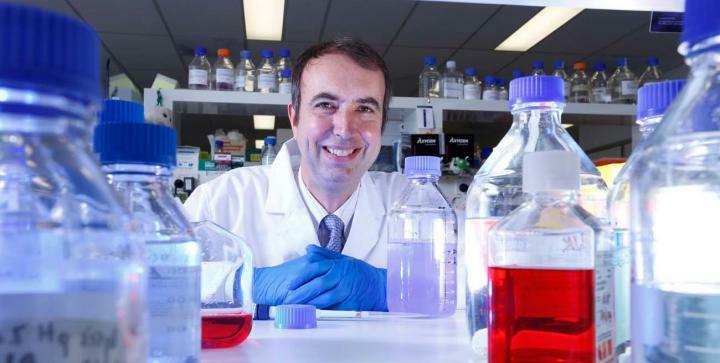 "Our new approach can be seen as a forerunner to 'organic gene therapy' for a range of common inherited blood disorders including beta thalassaemia and sickle cell anaemia," says Professor Crossley, who is also UNSW Deputy Vice-Chancellor Academic. "It is organic because no new DNA is introduced into the cells; rather we engineer in naturally occurring, benign mutations that are known to be beneficial to people with these conditions. "It should prove to be a safe and effective therapy, although more research would be needed to scale the processes up into effective treatments." "The foetal haemoglobin gene is naturally silenced after birth. For 50 years, researchers have been competing furiously to find out how it is switched off, so it can be turned back on," says Professor Crossley. "Our study, which is the culmination of many years of work, solves that mystery. "We have found that two genes, called BCL11A and ZBTB7A, switch off the foetal haemoglobin gene by binding directly to it. And the beneficial mutations work by disrupting the two sites where these two genes bind." "This landmark finding not only contributes to our appreciation of how these globin genes are regulated. It means we can now shift our focus to developing therapies for these genetic diseases using CRISPR to target precise changes in the genome," says Professor Crossley. The latest findings were spearheaded by three of Crossley's PhD students, over a period of five years. Study co-first author and UNSW PhD student Gabriella Martyn discovered that BCL11A, which was already known to switch off the foetal haemoglobin gene, binds directly to it. The Australian team's results were first presented at an international conference at Asilomar, California, 18 months ago and a race between UNSW and other labs in the world ensued with the UNSW-led study being published in Nature Genetics.